From skiing and dog sledding to river rafting and fly fishing, the summer and winter activities in Dubois, Wyoming will have the entire family creating memories to last a lifetime. 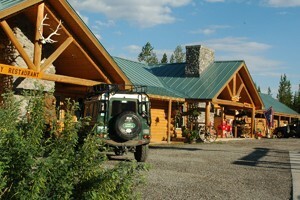 On Togwotee Pass, this full-service Lodge has a restaurant, gas station & a variety of lodging options at affordable rates. Beautiful views! Progressive Pack Trips and Base Camp Rides in the amazing Shoshone National Forest in Dubois. Fishing, riding, photography, hiking- do it all! Located in Dubois, WY we service and specialize in Honda ATVs, SidexSides, & Honda Power Equipment-Generators to Snowblowers! Witness The Experience! On the Wind River district of the Shoshone National Forest are campgrounds with both tent and trailer facilities. There are units provided for picnics and outdoor cooking, with fireplace grates and tables available in some of the more accessible grounds. Three large campgrounds are found along US Highways 26/287, these are Brook's Lake, Falls and Pinnacles campground. Several camping areas that are only accessible by dirt road, but which provide the camper with a feeling of seclusion that is not possible along the busy highway. Such are Horse Creek, East Fork, Double Cabin and Warm Springs campgrounds. For those who enjoy hunting, this region offers numerous big game opportunities for all big game animals found in the state with the exception of the Mountain Goat. 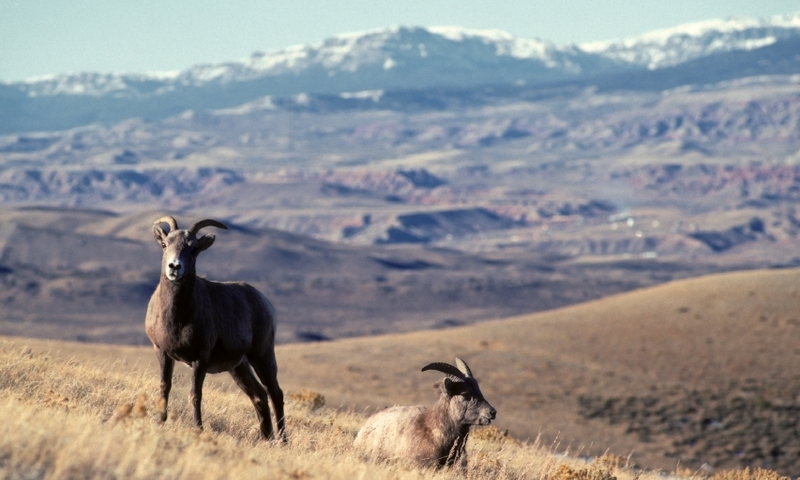 Antelope, white tail and mule deer, elk, moose, bear and bighorn sheep all have their habitat in the surrounding mountains. The Dubois area also has outfitters and hunting guides which non-residents are required to have to hunt in wilderness areas, some of them are listed HERE. Some of us, though tender elsewhere, are tough of foot and long on breath. If this is the case, there is no more suitable place than the mountains surrounding the Dubois area to don pack and good stout boots for a hike along the many trails. The Dubois area also has outfitters who can provide drop trips for climbers as well as horseback camping trips, some of them are listed HERE. Numerous streams and lakes in the Upper Wind River Valley boast excellent fishing opportunities. Non-resident fishing licenses may be obtained at various locations around Dubois and public access to the river is provided by several locations along the highway. The Dubois area also has fishing guides to show where to catch the big ones and make sure you have a great time, some of them are listed HERE. Winter activities include snowmobiling with over 250 miles of groomed trails on the Continental Divide trail, and access to hundreds of miles of established trails. Cross-country skiing, dog sled adventures, and snowshoeing are other offerings which allow you to in the breathtaking scenery and wildlife during winter months. The Dubois Rodeo is a popular local event.